Have you fallen off the workout wagon? Has your once-regular fitness routine has dwindled to hiking on the weekends, the occasional dog walk and a few half-hearted attempts to get to the gym. We’ve all been there, in some way or another. Maybe you’re recovering from an injury or maybe you’re just getting back from a beach vacation where your only activity was walking from an ocean side cabana to the bar for a cocktail. Maybe life just got in the way! Whatever the case, sliding back into a solid fitness routine after a break can be tough especially when you’re going it alone. Your reasoning for wanting to get back into exercise may be because you noticed your favorite jeans were getting a little on the tight side. The sooner we learn that a too-tight pair of jeans might be enough to get us back in the gym, but it’s not going to be enough to keep us there, the better. Most of the people who walk through our doors at NRG 4 Life ‘I want to lose weight,’ or ‘I want to get back in shape.’ This is about the ‘what’ of the body—how they can fix an imperfection. What we try to do instead is connect people back with knowing their “why”. That “why” has to be about more than losing a few pounds. It has to be something that truly motivates and inspires you to keep pushing through your workouts—even when it’s hard, even when you’re tired, even when you’d rather stay in bed. Ask yourself: Why is making a change now so important? That “why” is what will make getting out of bed at five in the morning when nobody else is getting out of bed so worth it… because it’s about more than five pounds, right? Feed your body the right fuel. There are foods that you eat that make you feel bad. There are foods that you eat that make you feel nothing. And there are foods that you eat that make you feel great. Eat more of the food that makes you feel great. This strategy might be simple, but it’s also brilliant. If you want to make working out a regular part of your routine again, you’ve got to give your body the foods it needs to make that happen. Start paying attention to how you feel when you eat certain foods. Make it mindful. For me, the foods that make me feel great are a mix of protein, vegetables, and healthy fat (my favorite pre-workout snack is a smoothie with kale, banana, vegan protein powder, and a scoop of peanut butter or a homemade muffin. Post workout, I like a Daryl’s protein bar. It’s a healthy bar that has a handful of simple ingredients that we can pronounce, low sugar (honey), high fiber, healthy fats from seeds and quality whey protein. Experiment and find out what foods make your body feel great and give you the energy you need to get a real workout in. Is getting up for a 6 a.m. solo run nearly impossible—maybe you’re coming up with any excuse to hit the snooze button. When you know a friend is waiting for you to hit the pavement, it’s much easier to roll out of bed, lace up my shoes, and go. There’s nothing like accountability to make you follow through on a commitment, When you exercise solely for yourself, you can find any excuse not to do it. When you have to answer to someone else who is counting on you, it’s a whole other ballgame. Finding a friend who works out regularly, asking if you can join them for a few workouts, and then putting it on the calendar. Set aside time in your schedule like an important appointment. Then it’s not something to do ‘if you have time’—it’s a necessity. If you don’t have a friend interested in working out (it happens! 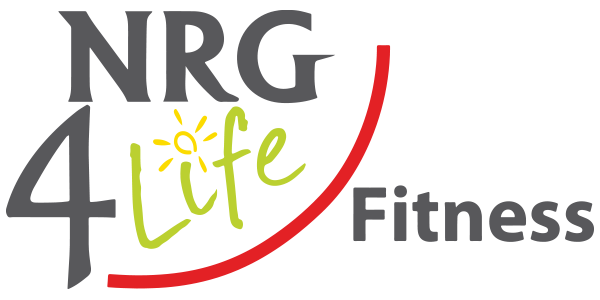 ), try signing up for a program with built in accountability like our NRG 4 Life Bootcamp. Our morning program for example is 12 workouts (Mon/Wed/Fri 6-7 a.m.) and our evening Bootcamp is 8 workouts (Mon & Wed 7:30-8:30 p.m). When people pay for something and it’s broken down to specific times (rather than choosing classes to attend yourself or hoping you get on the treadmill at home versus chores that are calling your name), you tend to stick to it. The fact that we’ve been running our Bootcamps for 15 yrs is testament to this! Incentivize yourself with new workout gear. Some people are intrinsically motivated and work out just because they know it’s good for them. Unfortunately, most people are not—which is why adding incentives to your workout routine is super helpful. When you know there’s something in the deal for you, you’re much more likely to get your booty to the gym. It’s easier to get moving if you know there’s a reward waiting for you and if that reward is a new pair running shoes, even better. If your fitness hiatus was self-imposed and not a result of an injury, be thankful for that. If, however, the reason you’ve been out of the fitness game for a while is injury-related, the most important thing you need to keep in mind is that you should listen to your body. “One of the biggest signs that you might not be ready to return to working out is if you’re experiencing a lot of pain—unrelated to regular muscle soreness,” says Michael Perry, M.D., co-founder and chief medical director of the Laser Spine Institute. “If a certain action or activity hurts, stop doing it immediately,” Perry says. “The pain is your body’s way of telling you ‘not yet.’” Rather than throw in the towel though, find an activity that doesn’t hurt or aggravate the injury. Do yourself a favor—if you’re dealing with post-injury pain, pay attention. If you push too hard when getting back in the gym, you put yourself at serious risk of re-injuring yourself—which might keep you on the bench even longer the second time around. In summary, if the thought of getting back in the fitness game after some time on the sidelines seems a bit intimidating, it doesn’t have to be. You’re not alone. With a little inspiration, a complementary diet, a dash of accountability, and a couple rewards along the way, believe you can do it. At this point, it’s just about putting one foot in front of the other. Momentum builds momentum.